All it takes is a single web search for “Klon Centaur” to show how hyped up and ridiculously expensive boutique pedals can be. Boutique pedals are sought after for a reason – their attention to detail, their handcrafted designs, strong quality control, small build numbers, and most of all: their tonal qualities. Luckily, for those of us on a tight budget, there has been a trend of boutique quality pedals released at a far friendly price-point. We’ve rounded up our 5 favorites (in no particular order) to make both you and your wallet happy. If we were to build a resume for this pedal you’d need a week to read the whole thing. Robert Keeley’s design has been on the pedalboard of everyone from Misha Mansoor to John Mayer and every genre in between. You may be wondering if you even need a compressor. That’s fair, most guitarists have never used one, and even fewer really understand them! Let us ask you something… Do you like punch? Attack? Consistency? Then let us show you just how awesome guitar compression can be. The key to this pocket-sized power’s success is not in a deep variety of complex controls, but rather the simplicity of the controls and the precision of the design. In expensive high-end studios you’ll find a wide variety of compressor’s costing thousands of dollars each, every one of them made with the highest quality components. Keeley’s goal with the 4-Knob Compressor was to create a studio-quality rackmount compressor in a stompbox format. 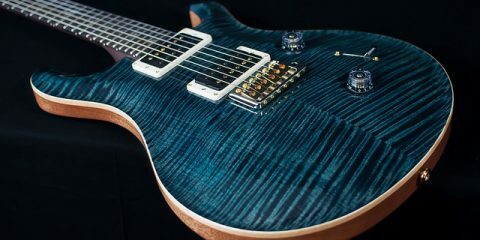 His success in executing this was enough to gain the acclaim of guitarists all over the world, but the most impressive part is the cost at only $199. 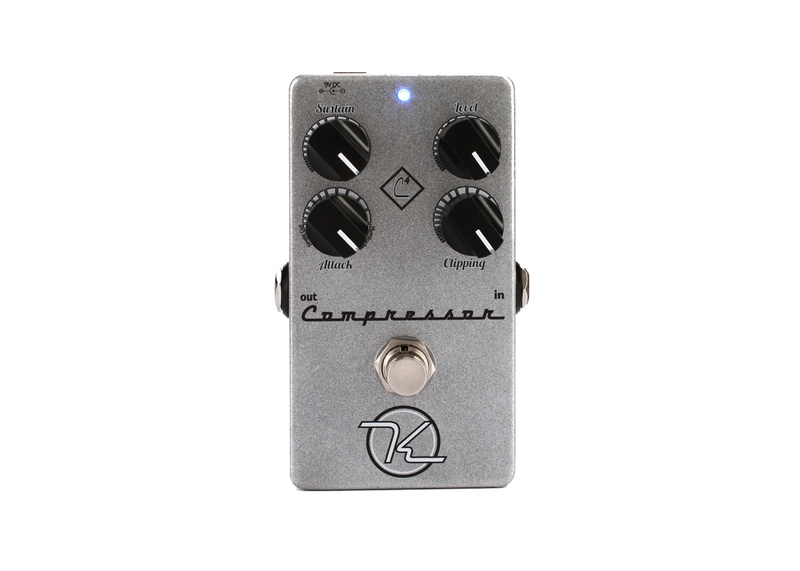 With practical, simple controls, fantastic design, high quality components and transparent sound, it’s by far the best compressor available under $400, and it’s only half that price. Alright, so we might be a touch biased on this one… but hear us out. This is perhaps the most versatile overdrive pedal under $200, with tons of features for the modern musician. 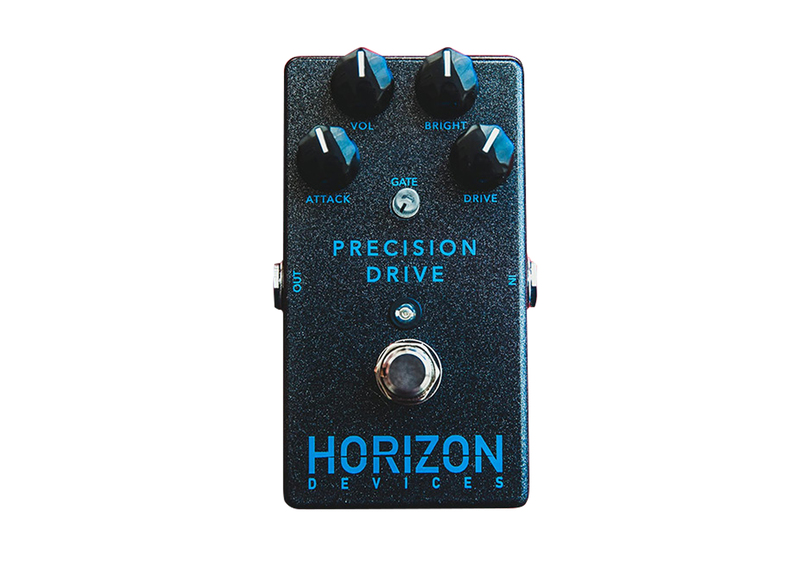 Horizon Devices is the brainchild of guitarist Misha Mansoor (Periphery) and is designed with the help of people just like you. Combining Misha’s immense knowledge of pedals and tone with a community-driven design collaboration created this stunning piece of tonal bliss. 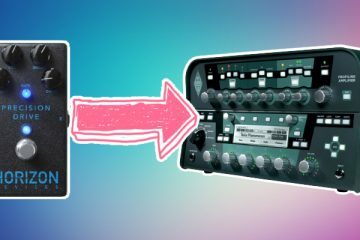 Besides having an incredible versatile gain range, the Bright knob controls how much cut you have in a mix, whether you want in-your-face leads or darker, ambient background clean tones. For those of us who run overdrives in traditional metal fashion (gain on 0, volume on 10) you’ll be pleased to know the amount of Volume on tap is substantially higher than most non-boutique equivalents. 10 on your average production overdrive is just 6 on ours, nearly double the output! The Attack knob controls the amount of low end punch your tone has, eliminating the need for having multiple kinds of overdrives or amps. You can go from a loose, fat low end for vintage tones to a crisp, tight modern metal punch with our finely tuned controls. 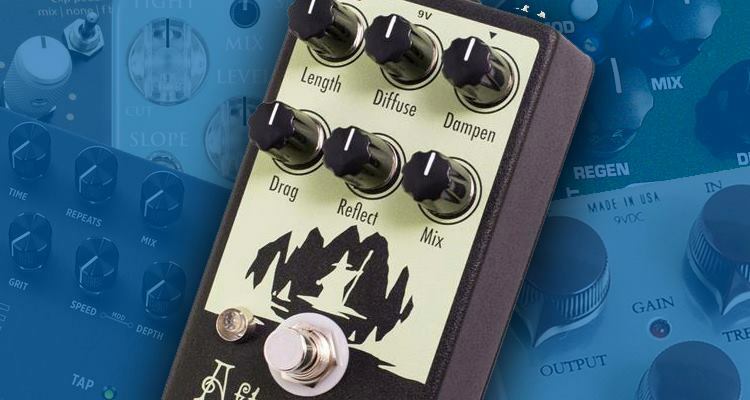 Rounding out the feature-packed pedal is a carefully designed built-in noise gate that can kill background hum or give you that tight, percussive djent sound. Each pedal is crafted by MXR who are known for their extremely high quality products and attention to detail.  The biggest selling point of course is the price… this one comes in at only $199! If ambient reverb is your endgame, then this pedal should be at the top of your list. 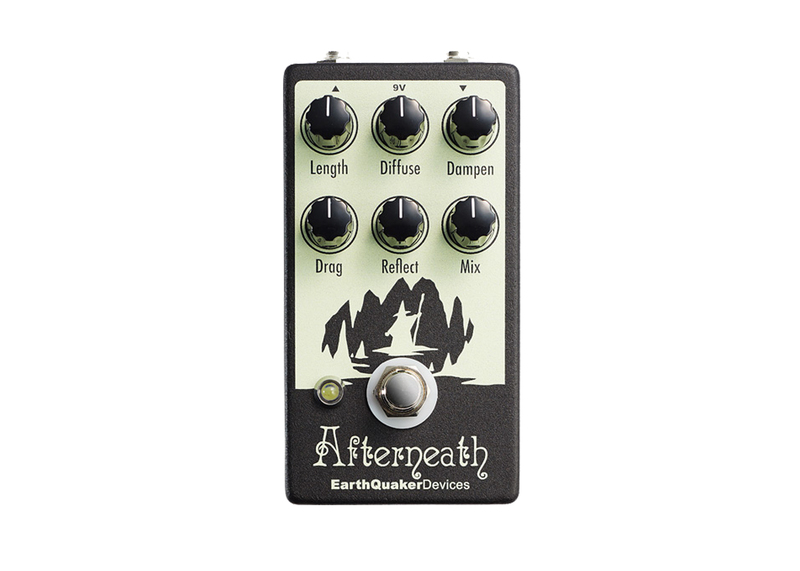 Earthquaker Devices are known for their highly versatile boutique pedals in a small package, but not many people realize just how cheap these pedals are despite their lavish appearances. The Afterneath is responsible for creating some of the most lush, three-dimensional spaces out there. While its main focus is on the creative and unique ambient style of reverb, the flexibility of the controls can take your from subtle slapback to Deep Space 9. In addition to the standard controls for reverb length and blend, the Dampen acts as an EQ that darkens or brightens reverb. The further you turn it up the brighter and more “springy” it sounds while dialing it back lends itself to more ambiance as a background element. If you’re looking for analog shoegaze goodness, the Reflect knob changes the regeneration of the reflections, and cranking it all the way up results in some seriously cool self-oscillation! We have to mention our favorite part of this ‘verb, the Drag control. This knob has the power to turn the pedal into more of a delay by separating the delay between each reflection. There’s no doubt that this reverb has next level sounds inside of it, but the real shocker is that it comes out to only $225. 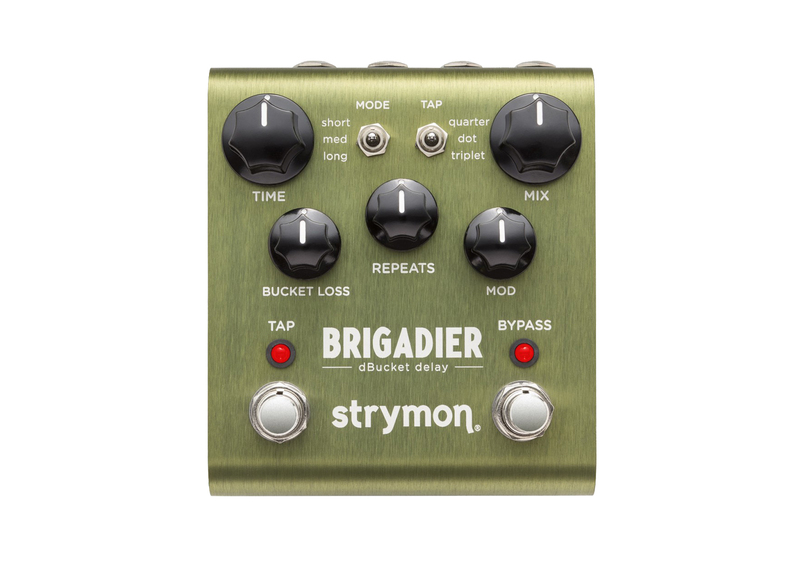 Speaking of lush, ambient, and analog, we couldn’t possibly leave out the Strymon Brigadier. Analog delay is one of those things that people tend to get very particular about. Does it really sound analog? Does it self-oscillate? Is it warm? Does it have modulation? You’re damn right it does. The Strymon is modeled after classic analog delays with the “bucket brigade” sound that so many cork-sniffers drool over. There are many similar delays out there on the market that attempt to recreate this sound, but there’s something quite special about the Strymon. 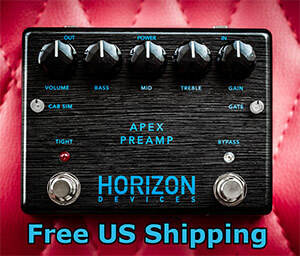 While of course you know I’m going to say it’s cheap ($299, far cheaper than any other comparable delay), what makes this pedal even more unique is the fact that not only does it recreate these sounds perfectly, but you have full control over the noisy, crunchy, saturated color of the original analog sound. Because the delay is actually a digital model of analog sounds you can actually control the amount of imperfections and analog characteristic. You can have all the analog sound with pristine quality, or you can dial in the most authentic recreation there is with the non-linear tendencies we know and love. It may be digital, but before you start booing and throwing your tomatoes take a listen to the pedal for yourself. You won’t even need our guide on making digital tones sound analog with this piece of wonder… This is by far the most gorgeous analog sound we’ve heard in any delay pedal near this price point. The much overlooked little brother of the Darkglass B7K, the B3K is a compact and simplified version of the famous gain circuit that has recently taken the world by storm. As most metal bassists already know, this pedal is all you need to get an absolutely phenomenal tone of epicly aggressive and punchy proportions. 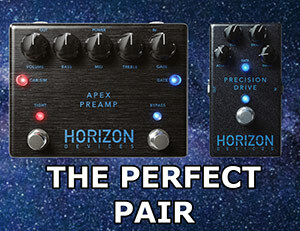 The list of users who love their bass preamp series includes Adam ‘Nolly’ Getgood (Periphery) Devin Townsend (Solo, Strapping Young Lad), and Alex Webster (Solo, The Faceless). The biggest reason for falling in love with this pedal is the signature distortion sound unlike any other pedal on the market. 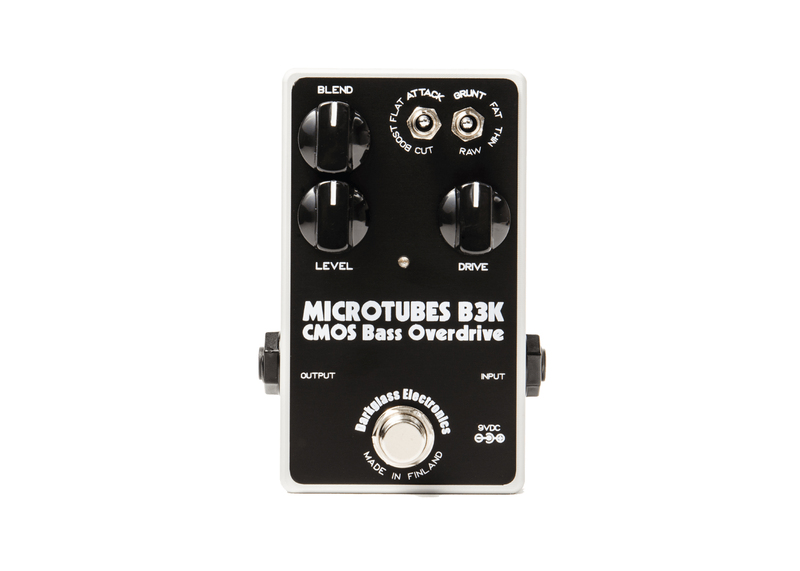 A far cry from SansAmp territory, the B3K has its own clank, grind, and aggression that perfectly binds with distorted guitars while still being able to occupy its own space in the sonic spectrum. In addition to its acclaimed sonic signature, the pedal features 3 of the greatest controls you could ever ask for on a bass distortion pedal… a blend control, and dual crossover controls. The crossover controls essentially act as punch and clarity knobs. The Grunt switch dictates how much of the low end the pedal distorts, while the Attack switch decides how much high end to saturate. Allowing you to saturate your lows, mids, and highs differently is one of the most used techniques in modern metal bass tones. By leaving your low end cleaner, you get a far stronger fundamental pitch while also adding punch to your tone. How you distort your high end will dictate just how much attack you wish to emphasize and the overall clarity in your tone. Coming in at only $229 this is an absolute must-have for any metal or high-gain bass player. 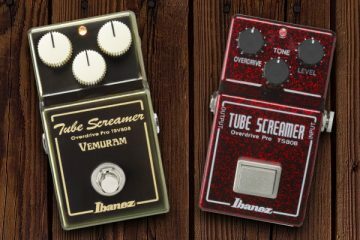 These may be our favorite budget-friendly boutique pedals, but the great news is that there are far more out there! Doesn’t matter what kind of music you play or what your tonal needs are, this list just goes to show that you can still get all the glory of boutique pedals without the gory prices. Can’t get enough of guitar pedals? Check out our Top 4 Overdrive Pedals For Metal.